International Open Seminar pt. 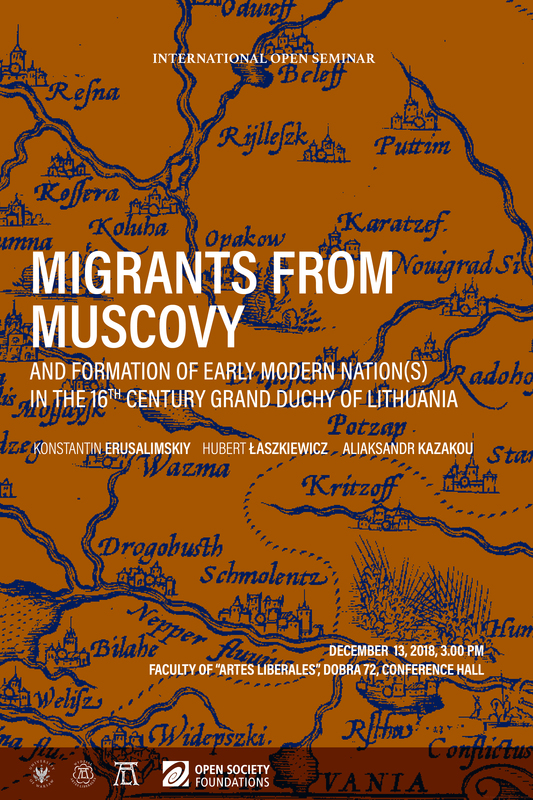 „Migrants from Muscovy and formation of early modern nation(s) in the 16th century Grand Duchy of Lithuania” odbędzie się 13 grudnia o godz. 15.00 w sali konferencyjnej w siedzibie Wydziału „Artes Liberales” przy ul. Dobrej 72. ← How Did Our Ancestors Really Remember? PreviousHow Did Our Ancestors Really Remember?